A steady and sometimes powerful Westerly flow brought the bulk of the snowfall between Wednesday January 18th and Saturday January 21st , 2012. Storm totals for the entire 7-day period from last Monday morning, January 16th thru this Monday January 23rd 2012 were pretty impressive, with around two feet of snow falling in the valley and over 4 feet of snow in the mountains around Jackson Hole. That snow contained over 2 inches of water at lower elevations and more than 4 inches of water at higher elevations. 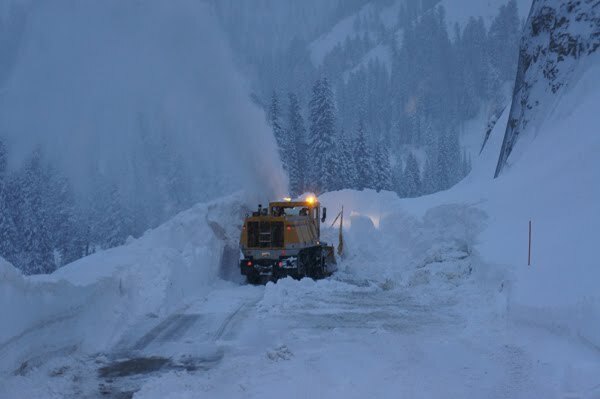 Getting a big dump of snow like that is not without its problems though, and hats off to the WYDOT crew for being on top of it and keeping things safe on Teton Pass during a busy avalanche cycle. 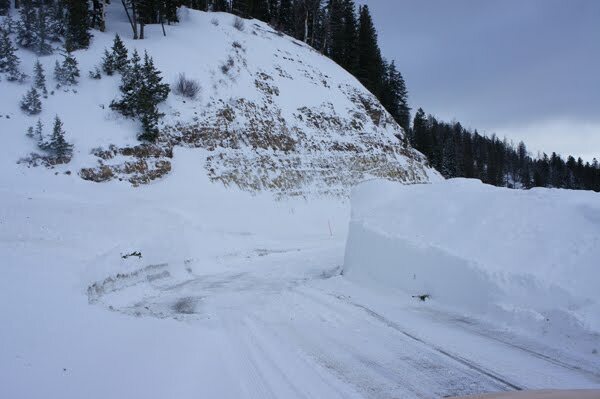 (See some photos below from Jamie Yount, Avalanche Forecaster for WYDOT). And good job also to the local area ski patrols for doing the same, not an easy task when you are dealing with that much snow and that much wind in a relatively short amount of time. As much as we all were yearning (and maybe a little crazy!) for fresh powder, patience is a valuable virtue when the mountains are rocking and rolling like they were. Photos from Left to Right...Glory Bowl Crown. Bottom of Glory at Road. Beaver Slide debris on West side of Teton Pass. (All Courtesy of Jamie Yount, WYDOT). Basically our snowpack doubled in less than a week, going from a settled snowdepth in the valley of around 16 inches last Monday to 37 inches this Monday. Mountains did the same, growing from around 40 inches to 80 inches tall. 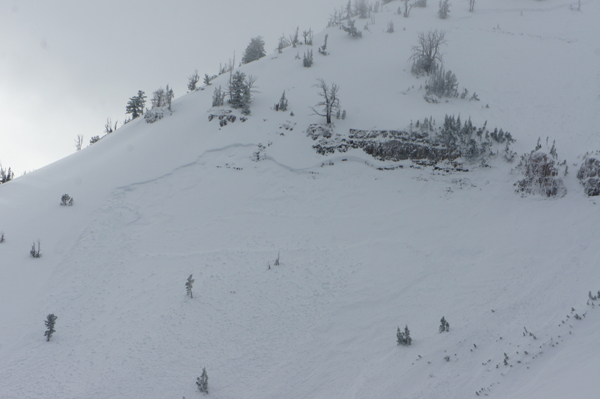 Snowfall numbers and comparisons below for the Rendezvous Bowl Study Plot at the Jackson Hole Mountain Resort. Numbers from the Teton Pass Study Plot that WYDOT uses, on the West side of the Pass had 48 inches of snow for the storm through Sunday morning (but some of that settled well before they could go measure it) and a whopping 5.40 inches of water! Best swath of snow with this moist Westerly flow was from the Cascades of Washington, across the mountains of Idaho and into Western Wyoming. Big Winner was Mt. Baker in Northwest Washington where they reported 95 inches of snow in the last 10 days and a settled snow depth of 166 inches, looking like the deepest in the lower 48 U.S. right now. Brundage Mountain near McCall, Idaho reported 40 inches of snow this past week and they now have a settled snow depth of 72 inches. Significant snow also fell in Utah and Colorado’s mountains, but not nearly as much as the aforementioned areas, but enough to cause avalanche problems down that way also. Since everywhere snow fell, it fell on a weak existing snowpack. Oddly, there were parts of central Idaho and Southwest Montana’s mountains that got significantly less snow. There were some mountain areas that got short-changed by this moist Westerly flow (For example: Sun Valley got way less snow than Brundage Mountain & Bridger Bowl got way less snow than Montana SnowBowl). That was probably due to some downsloping effects as moisture was lifted over mountain ranges to the west and then created a “dry-hole” to the leeward, unable to lift over the next adjacent range in time to dump out more snow. Best I can do to explain that for now without further investigation. To be honest, I hardly gave these places a thought until after the fact, mainly because I was too busy keeping up with measuring snow fall around Jackson and then analyzing and calculating what was coming for the next 2 or 3 days. It was an exhausting week of forecasting for sure!